So you’ve built your website: it looks great; it is well organized; and you have your basic pages built. If you are an attorney, you have a page for every practice area or sub-practice area. If your site is an E-commerce site, you’ve got all your product pages built out with unique product descriptions and lots of helpful information. Now what? Should you blog? Should you write articles? What are the next steps? Starting a blog, writing articles, creating new pages—these are all legitimate ways of building new content. The key to making that content work for you is in how you go about creating and promoting it. Just “blogging” or creating new articles and pages, without really considering exactly what to create and how to create it with its highest and best use in mind, falls short of the intended goal and will ultimately not help your business increase traffic and revenue. I see this “blind” content creation time and time again. Even many well-known agencies fall into this trap. Here is the key. Provide something useful! 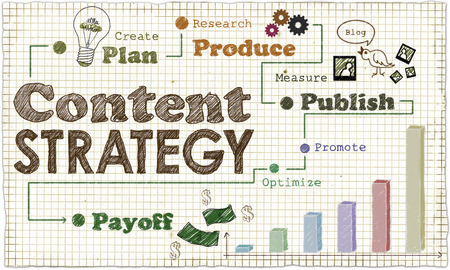 Successful content marketing strategies focus on providing high-quality material that is 100% unique, well thought out, and well executed. It is critical that each piece of new content has unique value to your intended audience. For example, I can find and show you 10 examples in 10 minutes of well-known law firms who are simply “blogging” or “doing Facebook.” If you look under the hood at how those blogs or Facebook pages are doing, you’ll see that they are bringing in little value because the firm’s audience doesn’t want to read another post about a news blip or how awesome that law firm thinks it is. Once this content is created, it won’t be “useful” to anyone if they don’t know it is there. Your new content must be properly promoted through social media, paid media, traditional PR, email, on your website, through outreach, and other methods that I will recommend and manage for you. *Promotion methods will vary depending on your product mix.